Whatsapp goes free (first year) for iPhone users too.. | NewbieTechTips! Whatsapp goes free (first year) for iPhone users too.. The most popular messaging service Whatsapp announced yesterday that, Whatsapp will be free (first year) for iOS users also from now onwards, making it similar to Android and Windows users. Till now it was a paid app on Apple's App Store and used to cost $0.99 one time charge, while on Android it is always first year free and $0.99 per year there after. Even though it was a paid app, it was among the all-time top 10 revenue grossing apps on the App Store. Despite growing competition in the mobile messaging space, WhatsApp has maintained its leadership, claiming over 250 million monthly active users with more than 27 billion messages processed in a single day. 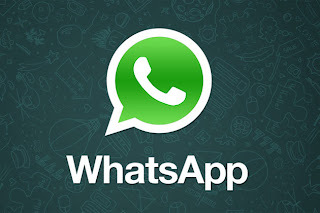 The move of making WhatsApp free on iOS is I think because the expansion of Apple's iPhone in developing countries where there is culture of free apps and users are reluctant to pay even a small amount of $0.99 (Rs. 60) per year. Even though there is a charge on whatsapp after first year, we are yet to hear of anyone who’s been charged after the first year and the free period automatically gets extended for users in many countries.